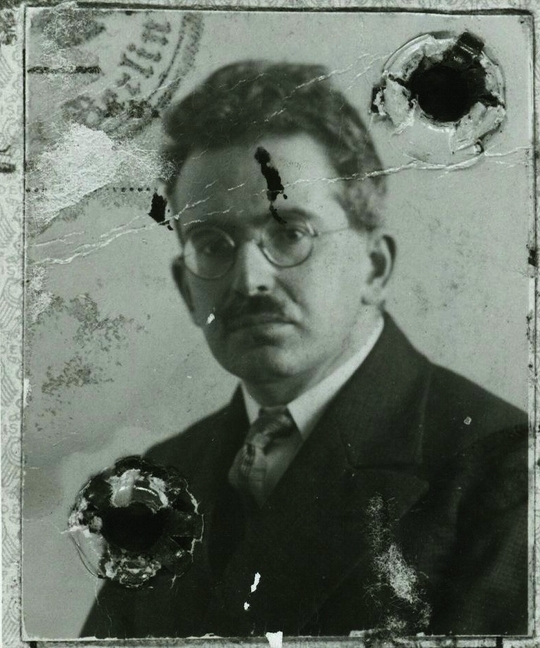 I’m Not Walter Benjamin, but Neither is He. I’m too long in the tooth, which ones I have left, to be coming to these realizations, but I do have to keep reminding myself of certain things. Whenever I feel doubts and uncertainty, which is not a fugitive condition, but a constant presence it seems, it’s always in comparison to the known existence, that is, known to me, of any number of figures in history and the present time—figures I have no particular reason to which to compare myself, suffering as they do so much greater familiarity, if not fame, among a so much greater number of people. Nothing else has to be said by the likes of me to validate the common wisdom that there’s plenty of stuff that gets done “because it has to” that will never see much of the light of day. A glimpse here and there kindly given by dear ones and friends. The accidental glance by roving interested parties. The demi-perusal by the flaneurs of our culture, always looking for what’s new and engaging—not to mention the hordes who are looking, always looking, merely for something to stave off the lurking beasts of boredom and ennui. Let’s say Walter Benjamin sat down to write, well, name your pick of what he wrote, and I’ll pick, almost arbitrarily (I just spent a whole four minutes looking it up) an essay, considered one of his more seminal, entitled, tellingly, “The Author as Producer.” However, let me say, I am more interested in his mere writing of it, not, at this time, precisely in what he wrote. It was originally a lecture to a body in Paris, typical of the 30s, called The Institute for the Study of Fascism. He gave it in 1934 when, admittedly, he had already gained some notice and attention for his efforts at assiduous and repeated and frequent publication. That he was interested in gaining a permanent position on the faculty of any institution in Europe, but none was to be given for a variety of reasons, not the least of which was the unhappy coincidence in time of his roots producing him when the tide of European anti-Semitism was at increasing flow. However, his prolific outpouring and industrious inquiries were into all manner of what we now call cultural studies, when it was not merely pure philosophy dressed in some vernacular raiment. Neither here nor there in the end. He had to look, to inquire, to think, and finally to write and to speak. He never stopped. That is, he didn’t, until he famously did stop, literally, killing himself at the frontier with Spain, in 1940, mid-route on what would likely have been a successful escape from Nazi Europe to the United States. We don’t know why, as far as I know. He had somehow bridged that murky body of water between the living if unconscious need to go forward and the dark shores of hopeless despair. However, I prefer to concentrate on his legacy, and take account of what he wrote in the simple facet of not having stopped himself from writing it because of any other sort of misgivings—if anything they validate the idea there is value in life, and repudiate, or at least turn away from the notion of existential futility and lack of meaning. What we will almost certainly never know if he had in mind specifically the prospect of not being allowed to do what he so clearly was compelled to do. So, I try to inspire myself by bearing in mind, more and more consciously (until, I hope, it become an unconscious part of me, some species of belief), that I am as free to say what I think and to imagine it has worth of some kind, for me for a start, or why bother, and for others, because there is no sense in imagining that there is no value in anything unshared. Whatever is done with, and finally thought of, whatever I create, especially whatever I write, is not for me to say, even with the vagaries of testamentary dictates on my part. It’s not within my power, even with the collective acceptance of the constraints of the law and the wishes of the departed, to control whether anything that I assume regularly, day to day, if not minute to minute, to be mine and to be disposed of or preserved as I see fit, will continue in a similar or better state of preservation after I’m gone. Writers have dictated that their work summarily be destroyed on their death (in many instances, already knowing in their lives they have gone unsung and unpublished) and have had these last wishes defied—to our benefit and pleasure. And writers have struggled for recognition, or let recognition and the necessary effort to attain it (as a general rule) go unattended in their lives, only to have their deaths herald an era of widespread if not universal exposure of their work, accompanied with great acclaim and even broader dissemination. My thoughts are not about longevity or perpetuation, but about the legitimacy of my efforts now, today, and tomorrow, especially if I am inclined to make invidious comparisons—accurate or not is immaterial—with the work of others I admire who I know quite well did, at the time, expect or foresee exposure to a wider audience and studied appreciation. They may have wished for it, hoped for it, despaired over the lack of it, but it never kept them from carrying on, writing and continuing to write. This entry was posted in Culture, Humor, Identity, Self-Expression & Creativity, Uncategorized, Writing by howard. Bookmark the permalink.